For all those who’ve been missing a famous dual-panel file manager for Mac, we tried to keep the best of what the classic solution offered, and did it with all the affection to OS X users. Totally new Commander One for Mac is 100% naturally written in Swift and will bring back long forgotten feeling of fast & convenient keyboard and mouse Finder alternative. Listen to your Android device music, watch movies, and check photos on Mac without actually copying anything to Mac. If needed you can copy any files from your Mac to Android device and vice versa. 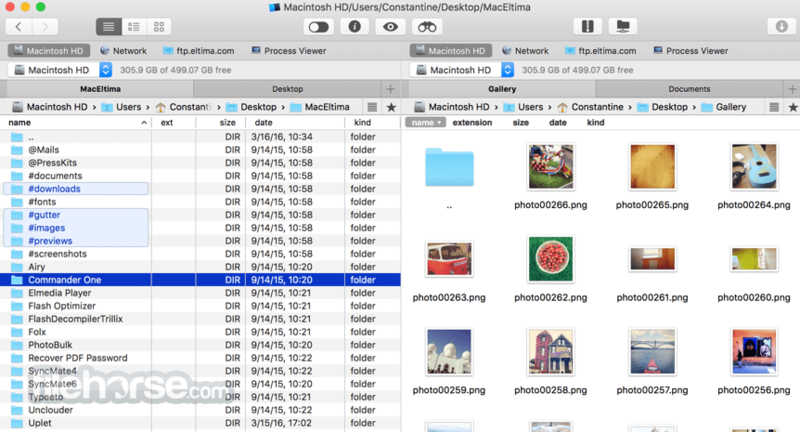 Commander One is a fast and simple Mac archiver, supporting multiple types of files. You can work with your ZIP, RAR, TBZ, TGZ, 7z files. We are working on adding the possibility to compress to RAR at this time. 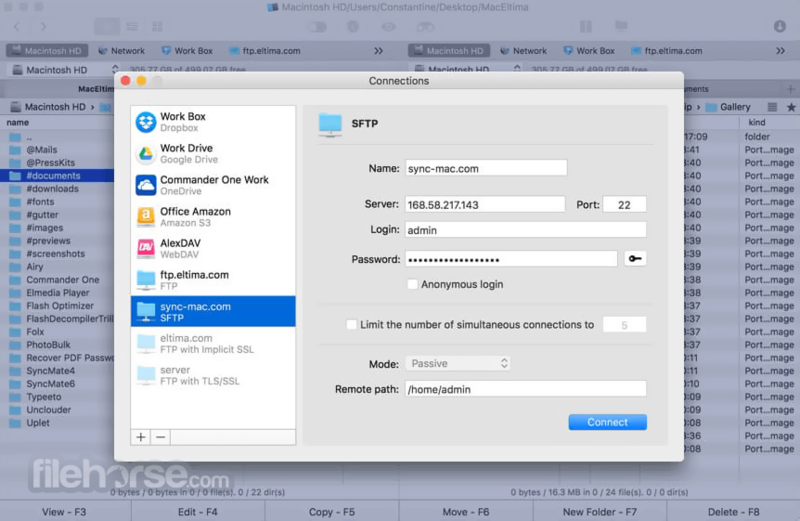 Built-in FTP manager lets you connect to remote servers via FTP, SFTP or FTPS. Commander One for Mac offers two panels for more efficient and fast work with the files and all your operations big and small are conveniently queued. Manage all your sheets and docs in a professional dual-pane style. Commander One lets you mount multiple Google Drive accounts to work with your online files. Commander One allows you to connect to a remote server and mount it on your computer as a drive. This way you get complete control over the files on server — view, create, upload, edit, etc. 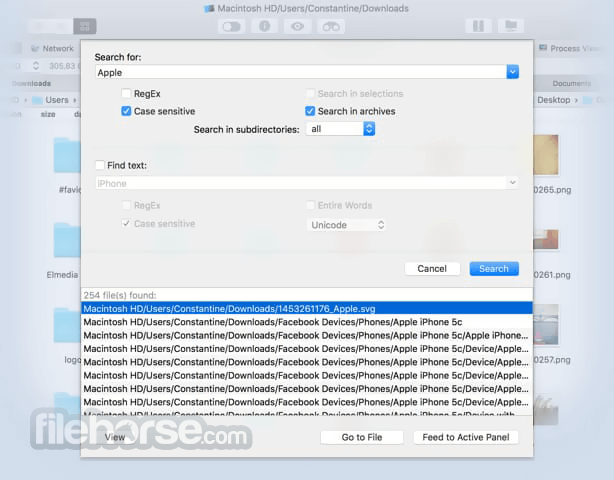 Integrate as many Dropbox accounts as needed and share files from Dropbox folder on your Mac directly from Commander One. Note: After 15 days the Commander One Pro features are disabled. Requires 64-bit processor.